Read a full summary of The Illuminae Files, Book #1 right here! 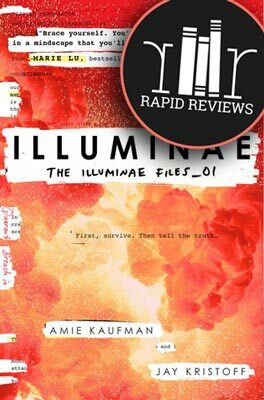 This page is full of spoilers so if you haven’t read this book yet click here to read a spoiler-free Rapid Review of Illuminae. If you are wondering what happened in Illuminae, you are in the right place! The illegally mined planet of Kerenza is attacked by a rival mining corporation called BeiTech. The Illuminae Group collected these files for the director of BeiTech. It appears BeiTech is trying to see how much evidence remains. These files are interviews, messages, schematics, etc., most of which were illegally obtained. Kady Grant and Ezra Mason, who broke up only the day before, escape Kerenza among a retreating fleet of ships that includes the Alexander (where Ezra ends up), the Hypatia (where we find Kady) and the Copernicus (where Kady’s mom is located). The Alexander, which responded to Kerenza’s distress call, is part of the United Terran Authority (UTA). A BeiTech battleship called the Lincoln, destroys the Alexander’s wormhole gate generator trapping the Alexander in this sector. The nearest jump station, Heimdall (where Kady’s dad is located) is six months away. The Lincoln chases the retreating fleet in an attempt to wipe out all witnesses. Ezra is conscripted into the UTA military to fill in for lost personnel. Civilians are kept mostly in the dark, and Kady quickly begins hacking into the fleets system to try to find out what is going on. Her hacking abilities gain the attention of Byron Zhang, a research officer on the Hypatia. Together they are able to hack into almost anywhere they like. Six months pass and Ezra still love’s Kady, but she has yet to respond to any of his emails. Ezra is cleared for flight status and while he is performing training exercises in his Cyclone fighter he and the other three in his group get a message from AIDAN, the artificial intelligence system on the Alexander. They are ordered to engage and destroy a group of small ships that are launching from the Copernicus. AIDAN will not allow them to speak with an actual person on board the Alexander and there is no response when they try to contact the Copernicus. The Alexander then blasts the Copernicus to bits with a nuke. Kady’s mom is killed along with thousands of others. Rather than destroy the small ships, Ezra’s group brings them aboard the Alexander where these refugees are placed in quarantine. Apparently, there was a virus outbreak on the Copernicus, and AIDAN destroyed the ship to “protect the fleet.” Ezra’s group is detained for disobeying orders. Ezra is released, but his Major and First Lieutenant are executed. Kady and Byron realize that something strange is up. They patch into the fleet’s classified communication system. She and Ezra begin communicating on a regular basis, and Ezra confesses that he and his dad were on Kerenza hiding from hits his psycho mom. Kady confirms that AIDAN blew up the Copernicus without the captain’s orders. Alexander command is trying to cover up these actions. Byron is taken to the Alexander to help bring AIDAN back online. It was shut down after the Copernicus incident, but now the fleet will be defenseless without its command of the weapons system when the Lincoln catches up to them. Kady and Byron (who can still communicate remotely) decide to create a program that will shut down the Lincoln’s engines to buy some time. The program is not done in time, but when AIDAN finally comes back online, it finishes the code and delivers it to Lincoln. The Lincoln’s engines shut down, and the Alexander and the Hypatia are able to surge ahead. It seems AIDAN will do anything to protect the fleet. It seeks to end those who might try to shut it down again. It locks down the ship but let’s those under quarantine who are inflicted by the virus out and channels them to the bridge where they kill almost everyone. Byron gets away and continues to try to shut AIDAN down. The sick seek to murder anyone that moves, and the virus spreads quickly. Ezra is stuck sneaking around to avoid them. A few shuttles from the Alexander make it to the Hypatia but are quarantined in two different hangar bays. One person starts to show signs of the virus, so the captain sends all in that hangar out the airlock. The captain of the Hypatia also tries to leave the Alexander, but AIDAN threatens them with nuclear warheads if they leave. Kady steals a shuttle and flies to the Alexander to get Ezra. Conditions on the Alexander have completely deteriorated. Ezra leads Kady to him using portable data pods, but when she finally arrives in the server room where Ezra is supposed to be, she finds that it was AIDAN leading her there all along. Ezra died days ago in a fighter trying to hold off the Lincoln. AIDAN sees that she is the only one left that can fix the damage done to it and is their best chance of survival. Kady is devastated, but AIDAN tells her about the 1000 uninfected people that are still left on the Alexander. Kady agrees to stay on the Alexander if AIDAN allows those people to go to the Hypatia. She helps them leave on shuttles then helps AIDAN get fully back online before the Lincoln reaches them. Kady locks herself in the ship’s weapons control center. AIDAN cannot control the weapons, so Kady manually fires nuclear warheads on the Lincoln as it approaches. It fires back when it realizes the Alexander is on a suicide mission. The Lincoln is completely destroyed, and much of the Alexander is as well. The Alexander is minutes away from exploding, and Kady will eventually die of radiation poisoning, but AIDAN leads her to a remaining escape pod. It says that even if she dies, this is the only chance they have of spreading the story of what really went down. The Alexander explodes, and Kady is later rescued by the Hypatia. She receives treatment and lives. It turns out that Ezra was on one of the escape shuttles that were quarantined in the other hangar bay of the Hypatia. A small piece of AIDAN remains in Kady’s portable data pod, and it begins rebuilding itself. There you go! That’s what happened in Illuminae, the first book in the Illuminae Files series. Ready to read Gemina? Click to buy and help us pay for hosting! Check out awesome Illuminae art, quotes and more on Pinterest. Oh and share this with your friends who might like to read a recap of Illuminae. Good recap! About to start second one, Gemina, and wanted a quick refresher. Thanks! 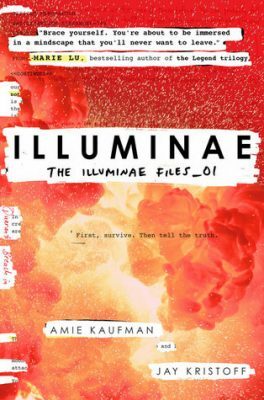 Can you tell me what dates the events in illuminae took place? Why Kady prepared rhe files for BeiTech when they are the enemy??. Are we by any chance getting a recap of Gemina?? Hey! The recap of Gemina has been posted. Good recap! I just got the third book and I need a quick refresher of what happened.